Suitable for early and late season treatments. 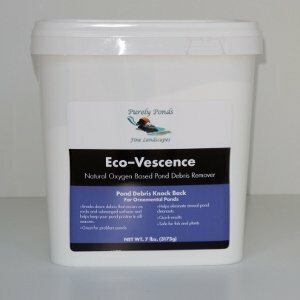 Supports clear water, healthy fish and pristine water quality. 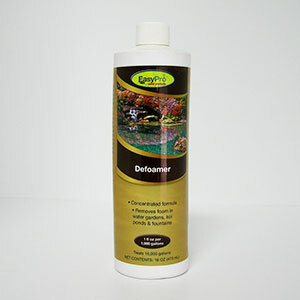 Naturally reduces ammonia, sludge, fish waste, and other excess nutrients that cause poor water quality and clarity. 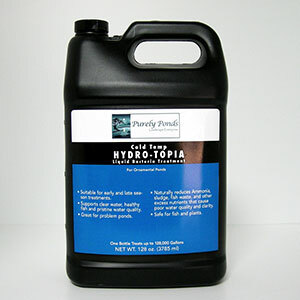 Purely Ponds Cold Temp Hydro-Topia Liquid Bacteria is scientifically blended and tested to ensure maximum results in water gardens. Our cold water formula is specifically suited for cold water pond applications with proven hardy strains and metabolic increasing carriers. 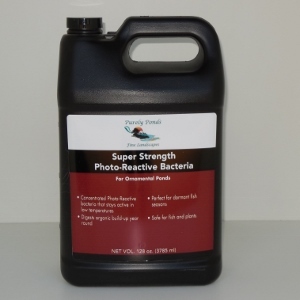 Beneficial pro-biotic bacteria contains beneficial pro-biotic microbes that work in symphony to reduce sludge, fish waste, and other excess nutrients that cause poor water quality and clarity. Our cold temp liquid microbe blend is the most concentrated pro-biotic supplement available in its class, at over 1.5 billion colony-forming units per ounce! For optimal results ensure a pH of 5.7 – 9.5, a water temperature of at least 48 degrees F, and proper circulation via pump and fountain/waterfall. 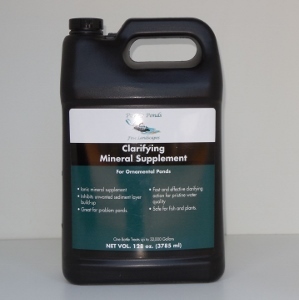 APPLICATION RATES & DIRECTIONS: 1 oz., 6 teaspoons or 30 milliliters per 1000 gallons. Apply product near the pump or in front of the skimmer to allow proper dispersion through the filtration system. In new ponds or springtime start up apply daily for the first 2 weeks of filter operation. Continue treating at least 2-4 times per month thereafter as part of ongoing preventative maintenance. One bottle treats up to 128,000 gallons. Note: If extremely poor water quality exists like an ammonia test registering any levels or if pond is not properly filtered, treatment quantity may need to be increased threefold.